You will be sure to impress your guests with this beautiful tablecloth. 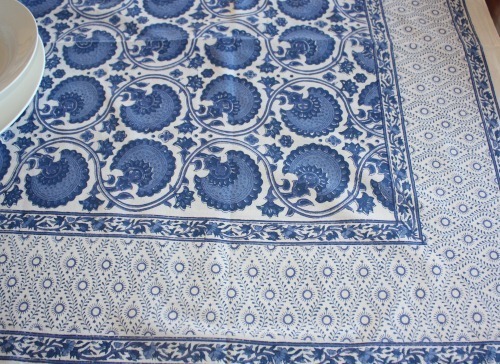 This tablecloth features a blue and white floral pattern that is framed by a stunning border. Hand block printed. 100% cotton. You have a choice of matching napkins to go with this tablecloth, either the India Blue napkins or Lulu napkins in blue.